Between 1980 and 2005, the dominant share of the jobs created in the US were created by companies that were less than 5 years old. Innovation-driven entrepreneurship is not just a driver of jobs and economic prosperity but it is seen as one of the most efficient and effective tools to deal with society’s intractable problems in areas like healthcare, energy, climate change, education and many other areas. As we look forward, the challenge of how we produce more and better entrepreneurs is an important one. MIT has been a leader in entrepreneurship education and the Martin Trust Center for MIT Entrepreneurship is recognized for its leading edge work in this area. This talk will describe the approaches that have proven successful and unsuccessful and what the future looks like for “inclusive entrepreneurship” that will go beyond the physical boundaries of MIT to educate millions in the future as opposed to thousands today. 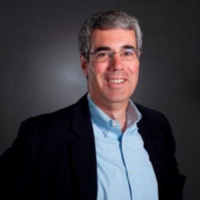 Bill Aulet is the Managing Director of the Martin Trust Center for MIT Entrepreneurship and Professor of the Practice at the MIT Sloan School of Management. He is changing the way entrepreneurship is understood, taught, and practiced around the world. Bill is an award-winning educator and author whose current work is built off the foundation of his 25-year successful business career first at IBM and then as a three-time serial entrepreneur. During this time, he directly raised over a hundred million dollars and, more importantly, created hundreds of millions of dollars of shareholder value through his companies. Since 2009, he has been responsible for leading the development of entrepreneurship education across MIT at the Martin Trust Center. Bill's first book, Disciplined Entrepreneurship, released in August 2013, has been translated into over 18 languages and has been the content for three online edX courses which have been taken by hundreds of thousands of people in 199 different countries. The accompanying follow-on book, Disciplined Entrepreneurship Workbook, was released in April 2017. Bill has widely published in in places such as the Wall Street Journal, TechCrunch, the Boston Globe, the Sloan Management Review, the Kauffman Foundation, Entrepreneur Magazine, MIT Sloan Experts and more. He has been a featured speaker on shows such as CNBC’s Squawk Box, BBC News, Bloomberg News as well as at events and conferences around the world.